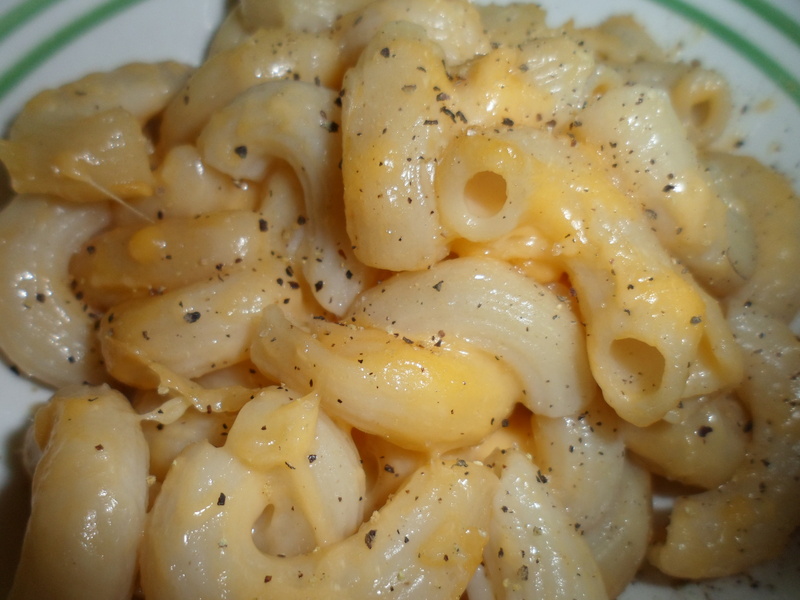 Traditional macaroni and cheese can be laden with lots of artery clogging saturated fat and excess calories…but it is oh so delicious. This lighter version uses mostly reduced fat cheese and skim milk to help reduce the calorie and fat content. Whole grain pasta is used to help meet your daily fiber needs and the noodles are not drowning in sauce like so many unhealthy macaroni and cheese recipes. I do use a little bit of full fat smoked gouda on top to add some smokey cheese flavor and leave you satisfied without so much guilt. You can make this gluten free or gluten full…. the choice is yours. I used whole grain brown rice pasta and rice flour to make mine gluten free, but whole wheat pasta and all purpose flour would work just as well. Cook pasta according to package directions and preheat oven to 350 degrees. Warm milk in a large skillet over medium heat. After the milk becomes warm, add flour, stirring continuously until the milk thickens. Turn heat down to low/medium and add sharp cheddar cheese, one spoonful at a time, mixing in until each spoonful is melted… your cheese sauce is now ready 🙂 . 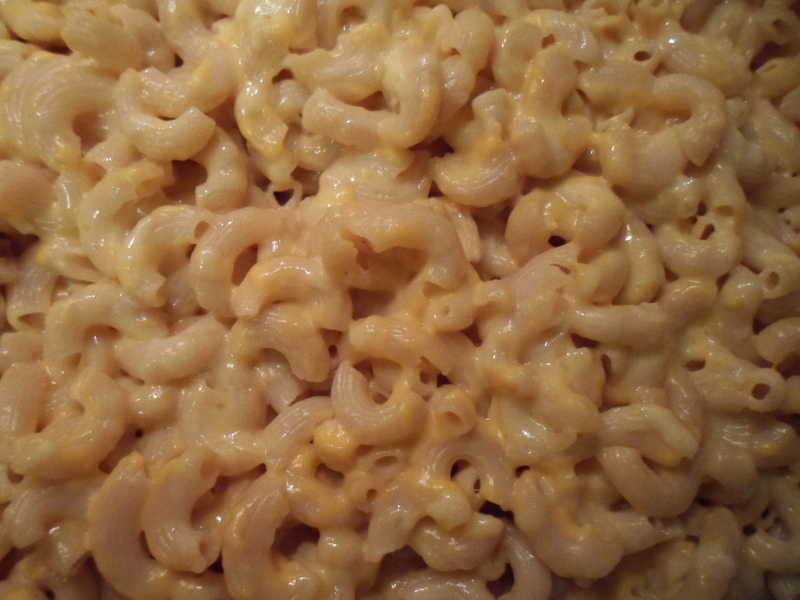 Spray bottom of a 9×13″ glass pan with cooking spray and add cooked and drained pasta to the pan, spreading out evenly. Pour cheese sauce over pasta and mix to coat. Sprinkle smoked gouda evenly over the top of pasta and cheese sauce. Place in oven and bake for about ten minutes or until gouda is completely melted. Season with a dash of salt and pepper if desired. I added ground black pepper on mine and was very pleased. *I find it works better when you buy a block of cheese and shred it yourself. That way you are only adding cheese and not the extra additives that often come with pre-shredded cheese.